Jeddah, Kingdom of Saudi Arabia, 27 January 2019: Newly-turned professional Othman Almulla, Saudi Arabia’s first-ever professional golfer, is relishing the prospect of shouldering the hopes of a nation – and the wider Arab world – at next week’s inaugural Saudi International powered by SBIA. After leaving amateur status behind earlier this month, Almulla will etch his name in history when he steps into the limelight at Royal Greens Golf & Country Club in King Abdullah Economic City (KAEC) from January 31 to February 3 as the first professional golfer from Saudi Arabia to compete in a European Tour event. Championships (Eisenhower Trophy) three times. The 32-year-old admits he is still coming to terms with what he is set to accomplish: “It’s still a bit surreal and none of it has really sunk in yet. I always wanted to represent Saudi Arabia as a professional and play in a professional tournament in my homeland, but I honestly didn’t think it would happen. It is a dream come true,” said Almulla. Standing in the Saudi pioneer’s way is a stellar field of the biggest names in global golf, including the world’s top three players, four of the world’s top five, Ryder Cup stars from both sides of the Atlantic Ocean, as well as multiple major winners and crowd favourites. Aside from unwavering home support, Almulla’s major benefit is a familiarity with the unique challenges served up at the coastal Royal Greens Golf & Country Club course: “I have a small advantage, but the best players always find a way,” he said. “European Tour Designs have done an amazing job with the course. It really is something and it isn’t going to be easy, it’ll play tough. Having seen the Royal Greens Golf & Country Club transform both on and off the course as preparations for the Saudi International powered by SBIA reach a crescendo, Almulla praised the Saudi Golf Federation (SGF), KAEC and other domestic stakeholders for enhancing Saudi’s international golf credentials and boosting the game in the minds of the country’s nationals. “I’m really grateful for this opportunity. It’s my chance to give back and to help show what Saudi has to offer as a country in terms of golf, sport and tourism,” said Almulla. “The country’s visionary leadership, KAEC and the SGF have done a phenomenal job in growing the game and using it as a vehicle to show off the country. Almulla also revealed his rivals for Saudi International honours are in for a real treat, as Saudi Arabia readies to demonstrate its true Arabian hospitality to the world’s best players. Almulla’s rise to the professional ranks is testament to his dedication and reflects the progress of golf in Saudi Arabia, which will make history when the first tee shot is struck in the inaugural Saudi International powered by SBIA on Thursday, January 31, say organisers. 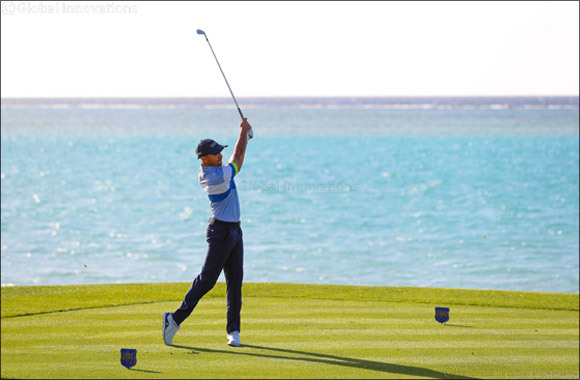 “Othman has been a great ambassador for golf in Saudi Arabia and for the nation. He is a true role model to the younger generation and is proof that through hard work and dedication you can achieve your dreams. It will be a special moment for Othman and for the Federation when he steps on to that first tee in the inaugural Saudi International powered by SBIA,” said His Excellency Yasir Al-Rumayyan, Chairman of the Saudi Golf Federation.